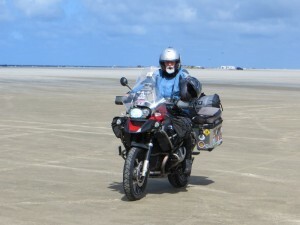 Denmark was meant to be a pit stop for the motorcycle but ended up being a terrific couple of days with a terrific couple, Jorgen and Connie Toft. Brian met Erik Lorentzen at a Horizons Unlimited in Australia. Originally from Denmark, Erik said Jorgen could help us out with any bike issues in Denmark. The bike was on a recall notice from BMW but none of the dealers in Germany could help out this side of August. 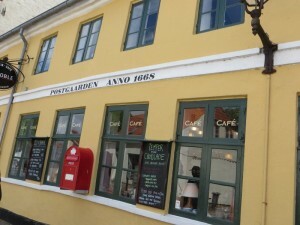 The bike also need a service so we contacted Jorgen. 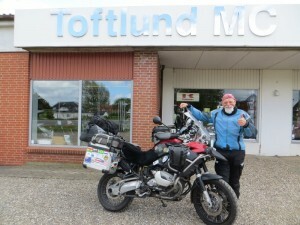 He organised for us to take the bike to MC Toftlund for the recall notice and said he’d be able to service the bike for us the same day. 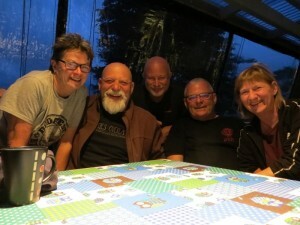 When we arrived at Jorgen’s home he’d arranged for the three of us to stay the night at his house and have dinner with him and his wife Connie. What a wonderful gesture – and it was a top night. The next day Jorgen and his mate, Hans, took us for a ride to one of Denmark’s beaches where we could ride out on the hard packed sand. 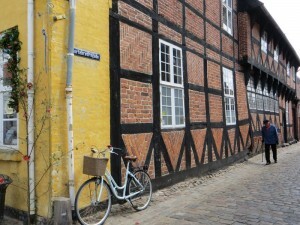 We also got a guided tour of Denmark’s oldest town – Ribe. The town dates back to the 800s. It’s narrow streets are lined with tiny houses with bowed walls. 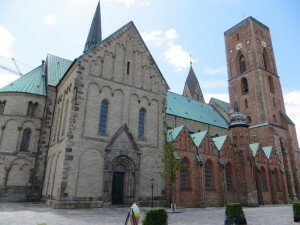 The cathedral, built in 1150, dominates the town square. Ravaged by floods and fires (that destroyed more than 200 houses) over the centuries Ribe is as picturesque a town as they come. We had to drag ourselves away from our new friends to get the ferry to Norway and begin the long ride to Nordkapp – the northernmost point in Europe. 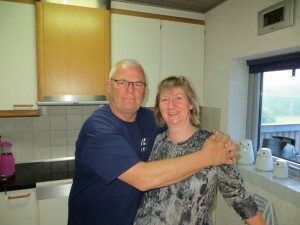 Thanks Connie and Jorgen for your kindness and friendship to total strangers. 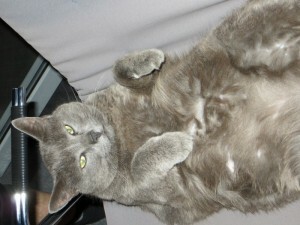 And a special pat for your amazing cat, Milo.